I sometimes wish I stopped more often to take pictures of interesting things when I see them. Life is made up of unique, fascinating moments that happen quickly and then are gone, and if we don't commemorate them in some way, they're gone forever. 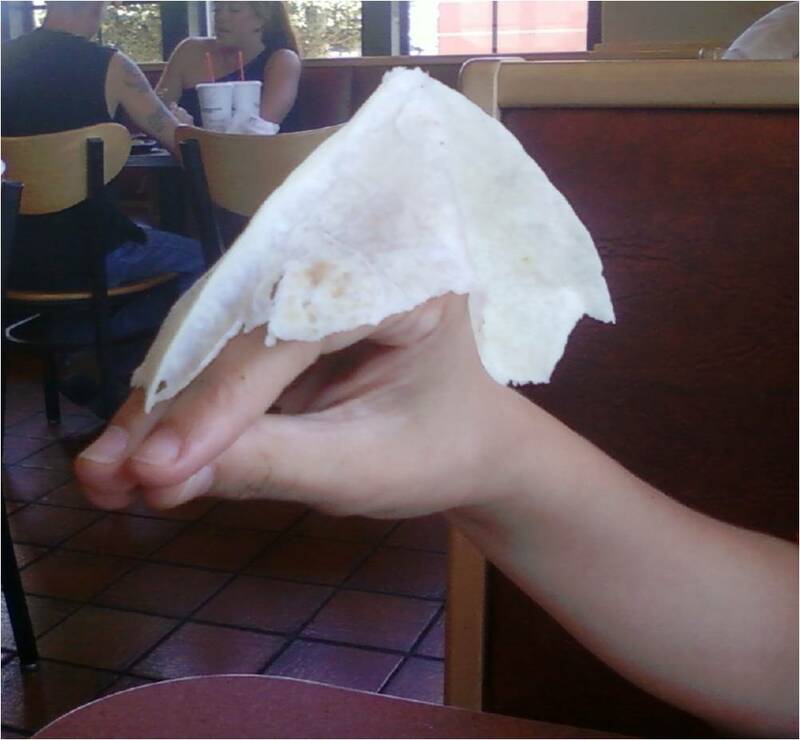 So when Precocious Daughter and I were eating burritos at Taco Bueno this weekend, and we realized that your hand can wear a tortilla like a little hat, I made sure to capture the moment. Years from now, she'll be glad I preserved this precious memory. 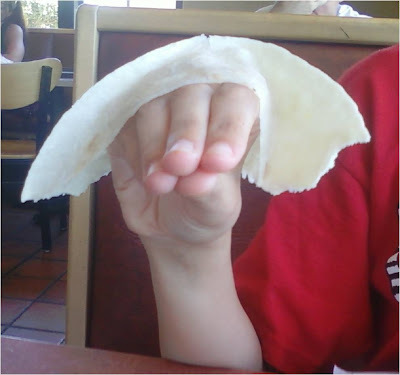 And put it on the Internet. Wouldn't you be?